We want your first visit to be comfortable and helpful. To serve you better we have put together a few things that you can do prior to your appointment in preparation for our first interaction. Please arrive 10 minutes early for your appointment if you have your paperwork filled out. Arrive 20 minutes early if you need to complete the new patient forms in the office. Learn about our doctors and staff!  Below are the insurance providers we accept at Agave Foot.